Our Newcomers' Class is a seven-week course about what kind of church BLCC is. It's also a great way to get to know people, and is a prerequisite for membership. Newcomers' Class, offered twice a year, explains our church's history, distinctives and vision. While it is a prerequisite for joining Brick Lane, many folks take it to get to know us a little better before deciding if this is the church for them. 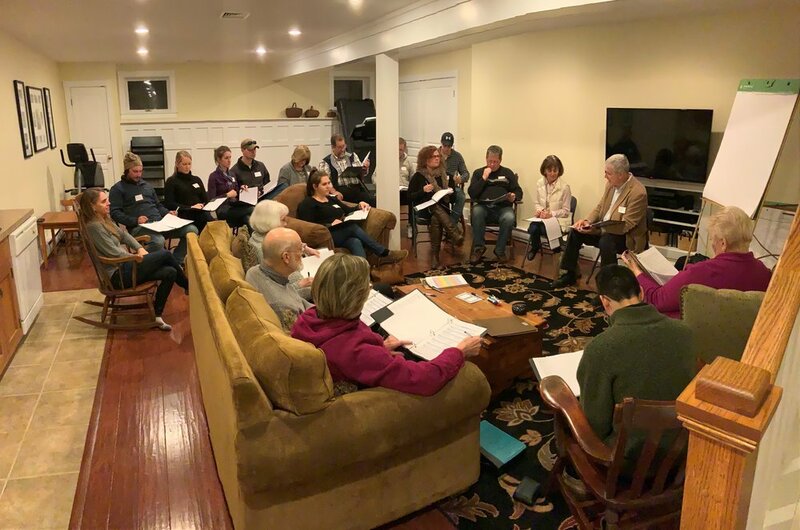 Generally held at a home in or around Elverson, the classes, led by Senior Pastor Steve Estes, consist of 14-20 people and have a small group atmosphere. One primary purpose of this seven-week class is to foster relationships between people. Many lasting friendships have grown out of it. All are welcome! We strive for a mix of young and old, couples and singles, men and women. This is a chance to rub shoulders with those you may not naturally gravitate toward on Sunday mornings. If you are interested in being a part of the next Newcomers’ Class, please contact Kathy Eberly at the church office at 610-286-6790 x105 or kathy.eberly@brick52.org. Are you currently attending the Newcomers' Class? Many of the Class resources are available right here. Topics such as our church's purpose, our history, distinctives and many others are available for online use or for downloading to read or listen at a more convenient time. Access to this site requires a password. Contact Kathy Eberly at 610-286-6790, or at kathy.eberly@brick52.org for more information.